Last December I did a post on winter floral arrangements; I just love bringing seasonal plants into the home. 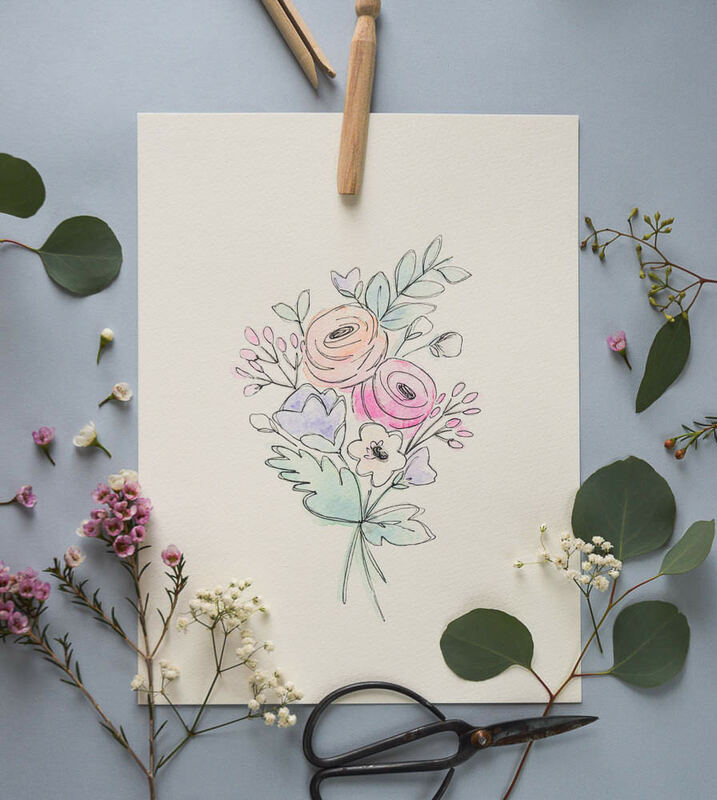 Fresh cut flowers are one of the simplest (and prettiest) ways to brighten up a room and make a space feel seasonal and alive. I got a great response from my winter floral post, so I thought that with the springtime finally upon us it would be fun to do another similar post. Nothing beats fresh flowers. There is no substitute for the dewy green stems in a glass of cold clear water. Flowers bring the outdoors inside! The clean white scent of spring lilies fills up a home with the promise of sunny days and warmer weather, while in summertime, the smell of a lilac bouquet is drowsy and perfumey, reminding us of the hot and lazy days ahead. Unfortunately, fresh flowers can be terribly expensive. 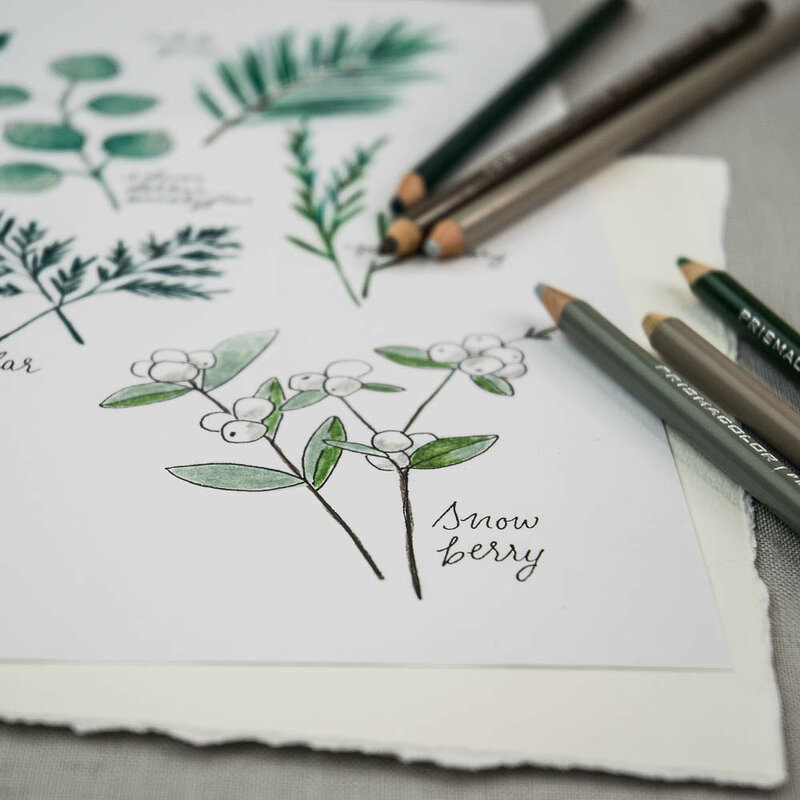 Their ephemeral beauty makes them a luxury item, and a seasonal bouquet can easily be $40 at the florist. You might spend the money for a special occasion, but what if you just want flowers for the joy of having fresh flowers in your home? 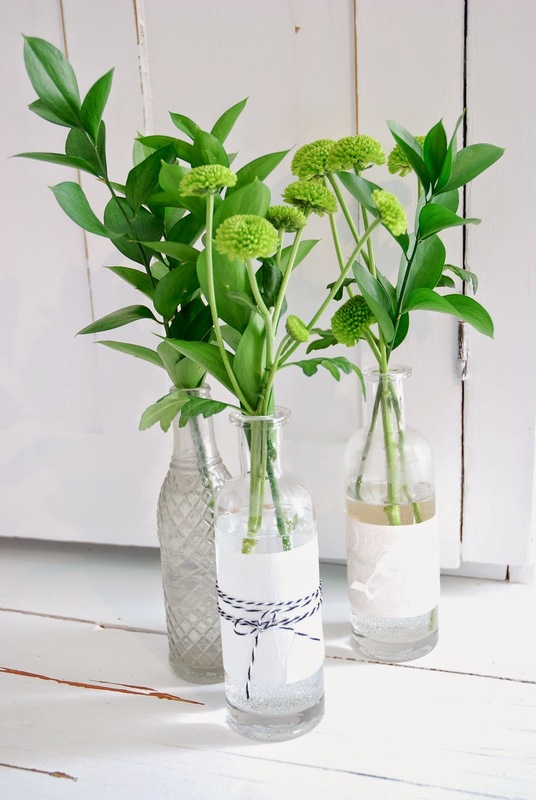 I've come up with some simple, pretty and inexpensive ideas for bringing spring flowers inside. To brighten up your kitchen, try adding a tiny arrangement. You'll need only the smallest bunch of flowers (for this one I used a $5 grocery store bunch and cut them down). 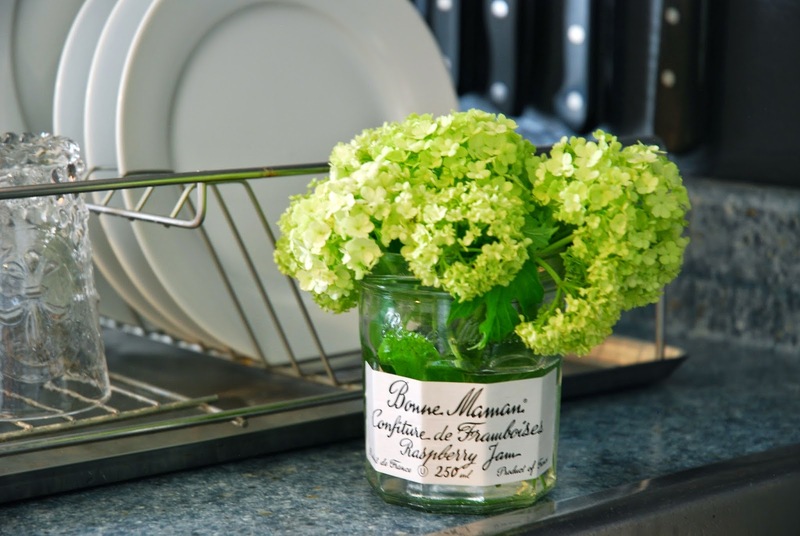 And you can add visual interest and a bit of whimsy by using a kitchen item as a vase. I used a jar from one of my favourite jams. Bonne Maman makes the best preserves and the jars are so sweet and elegant. I like to place my little jam jar arrangement by the sink or on the cutting board that sits on our counter. 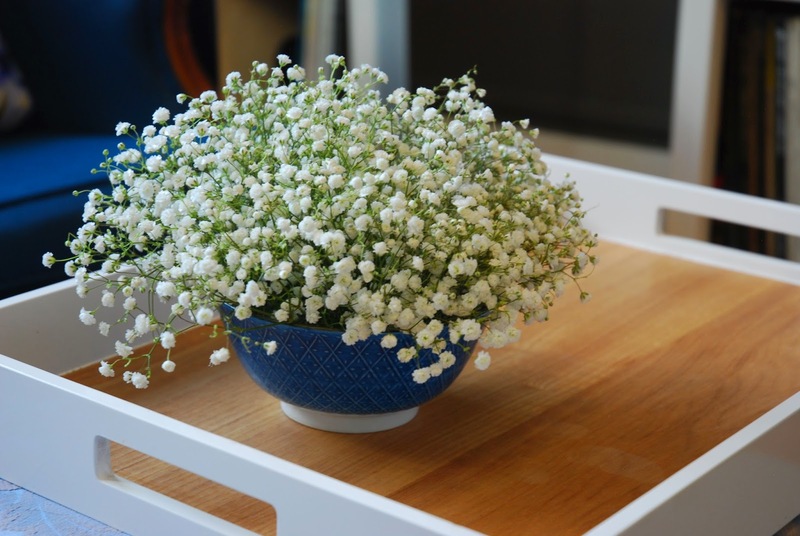 They may be small, but the flowers instantly brighten up the room and the lush green colour gives depth and life to the black, white and blue colour palette in the kitchen. Here's a variation on the same idea. 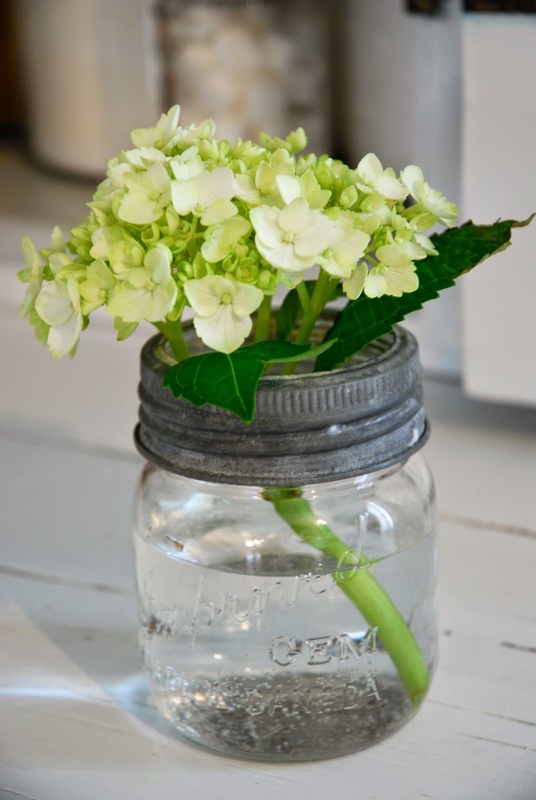 Try using an old mason jar as a vase for your kitchen floral arrangement. The really old canning jars have a large metal ring that fits over a glass top (or lid). Simply remove the glass lid and screw the ring onto the jar. 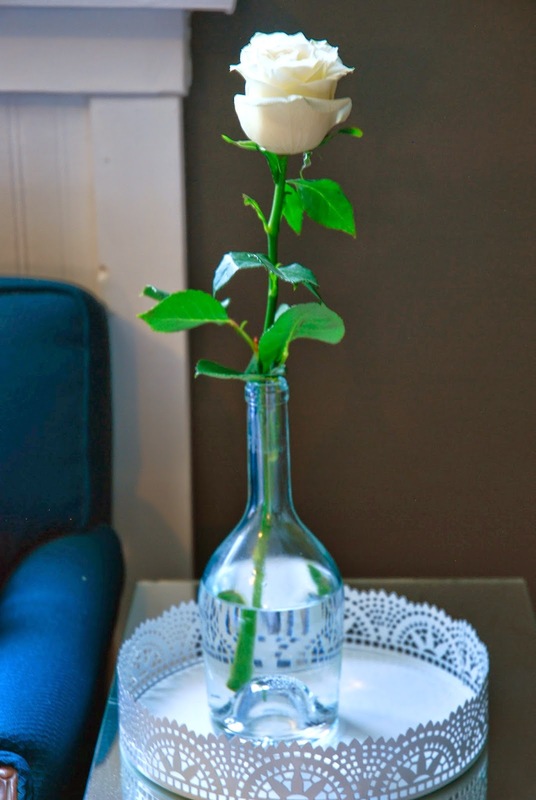 This creates a small stylish vase with vintage charm. (We actually tried using some of the old jars in our canning, you need new rubber rings to fit under the glass lid, and they worked very well. But mostly I like using them to store sugars and spices, as they have such a classic look). Treat yourself to a single a stem. When you use only one flower, you can afford to choose a varietal that you otherwise wouldn't spend the money on. I bought a white rose from the grocery store florist ($3 for one) and put it in an understated glass bottle. And where did I get that lovely vase, you ask? Well, I'll tell you! It's a wine bottle. So not only did I acquire a gorgeous glass vase, I also got to drink a bottle of wine! If that's not a two for one, I don't know what is! If you want to go out and get yourself the same one, look for the Miraval Rose (available at the LCBO, for those readers in Ontario). Miraval is the wine from Angelina Jolie and Brad Pitt's partnership with a French wine maker. I like that although it's their wine, Brangelina's names do not appear anywhere on the bottle. They don't have to! The bottle itself has a charming shape and the small spherical label (just goggle Mirival Rose to check it out) is unique and well designed. Plus the rose wine is fantastic! We usually don't think too much about the length or height of our flowers. 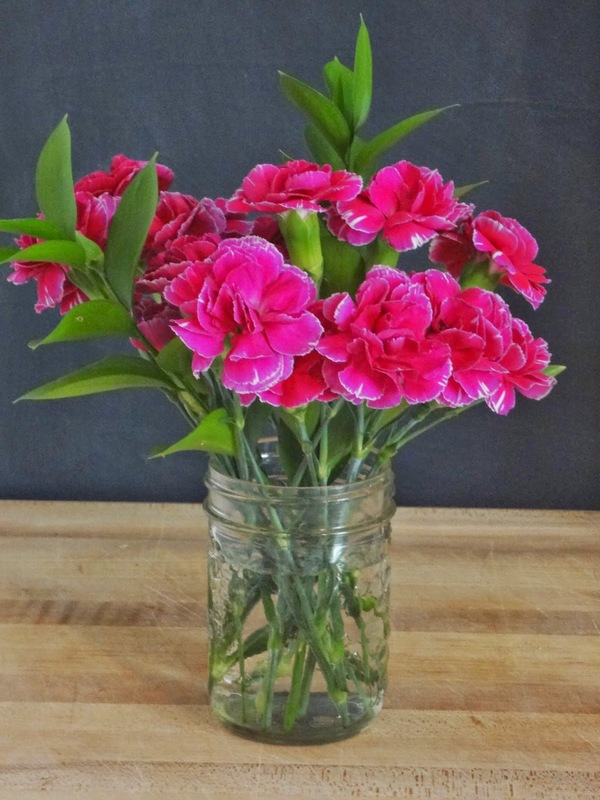 You pull out a vase and maybe cut an inch or two off the stems and you're good to go. But thinking outside the box when it comes to the height of your arrangement can yield some outstanding results. 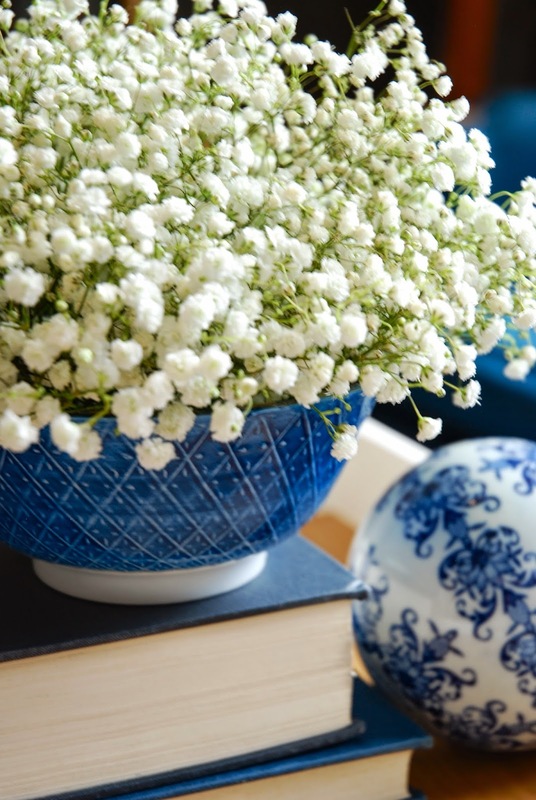 Here I took two bunches of baby's breath ($10 total) and cut them very short to fit in a pretty porcelain bowl. 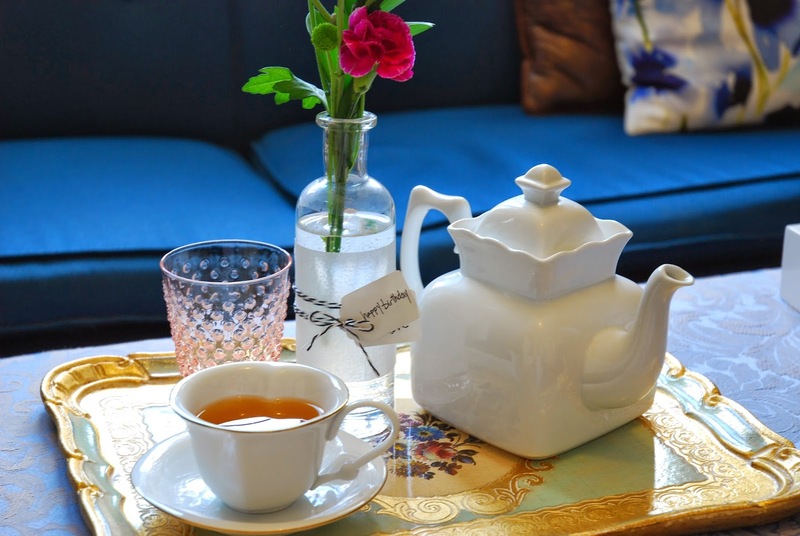 The result is a dainty, dreamy, and touchable coffee table arrangement that is inexpensive and unexpected. Give your everyday grocery store plants some visual interest by using unexpected objects as vases. I didn't get too crazy with my examples, but you could use anything as a vase, your choice doesn't even have to be water tight, so long as you can place a jar or milk bag inside of it. 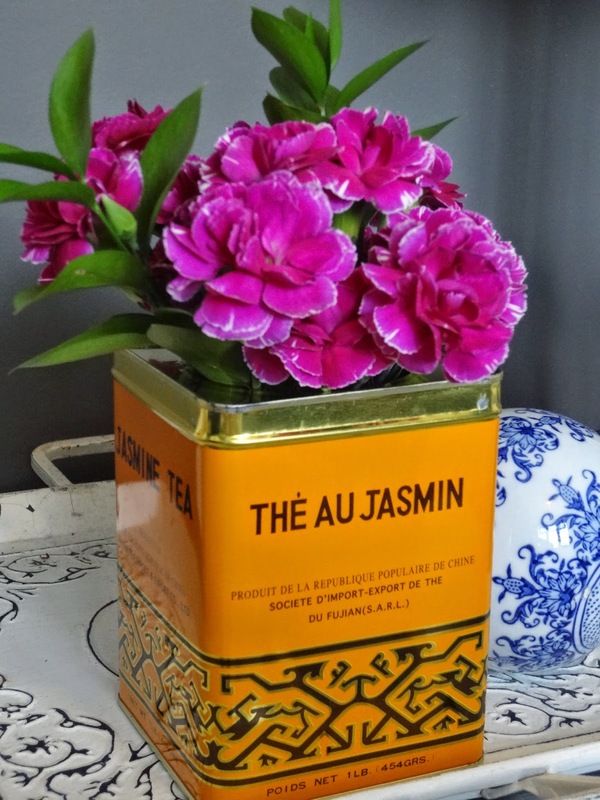 Below I took a bunch of carnations ($4 at the grocery store), added two greenery stems, put them in a mason jar with water and then simply put the mason jar inside of an old jasmine tea tin. Easy, colourful and cheap! 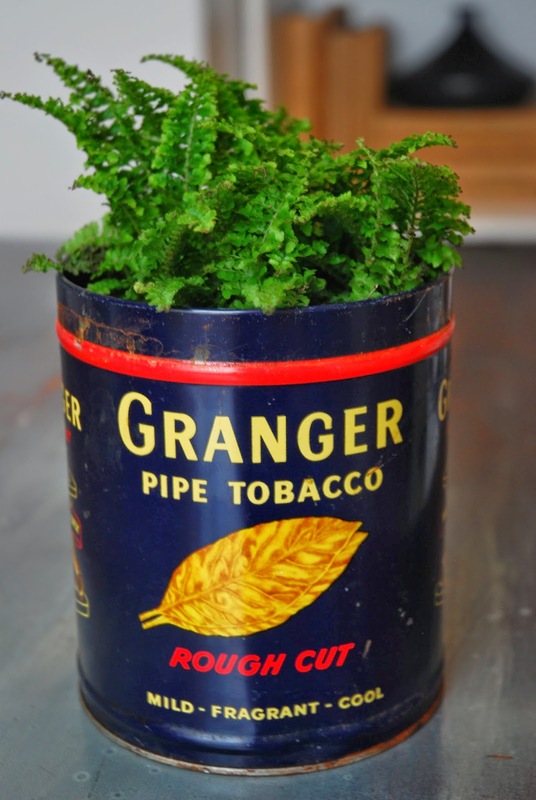 Below, a fern ($3 at, you guessed it, the grocery store) sits in a vintage tobacco can. 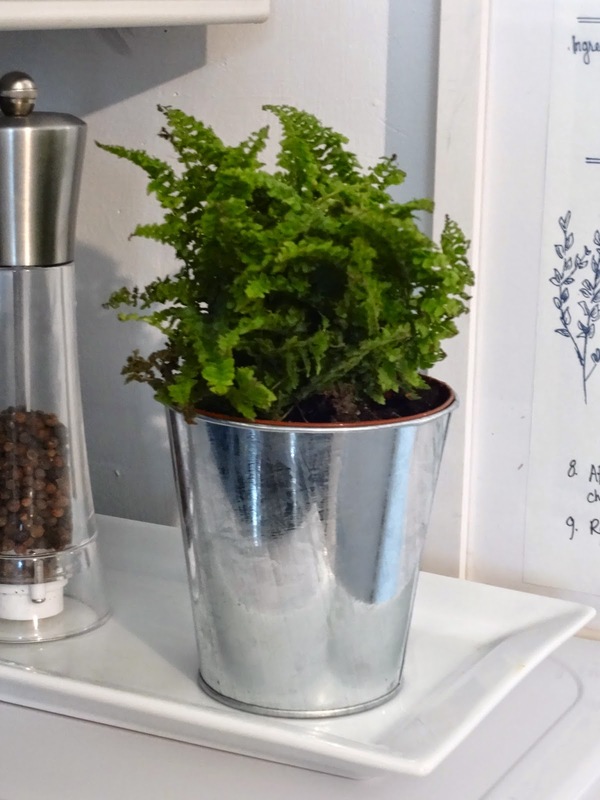 Just remember to put the potted plant inside another plastic container for drainage (this way water won't sit in the tin and cause it to rust). 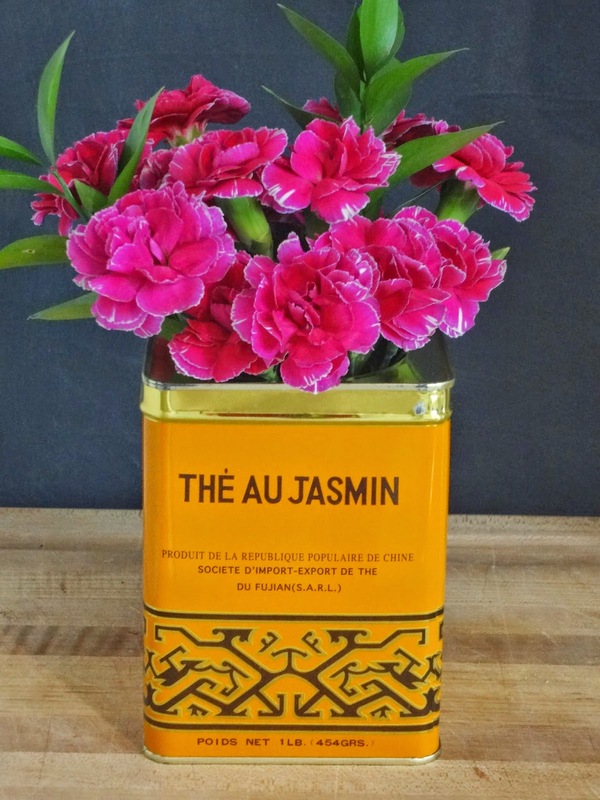 Here's another straightforward way to add interest to your spring flowers. 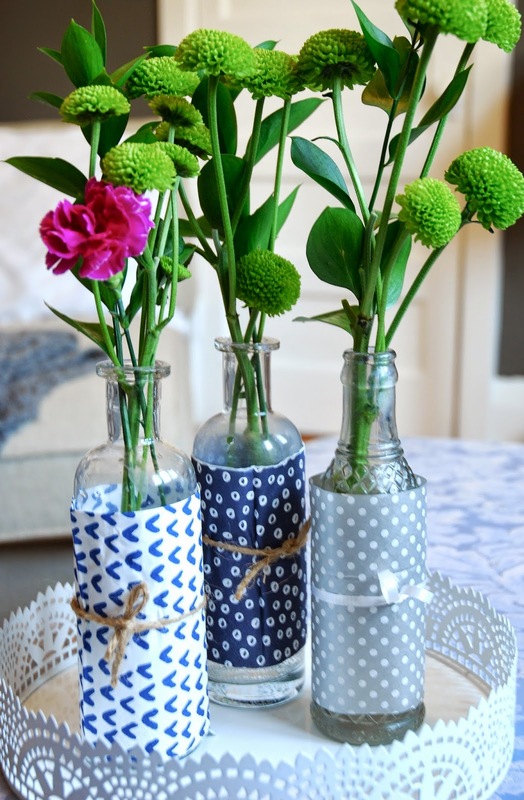 Find some glass bottles (anything will do, you can use soda bottles, wine bottles, old vases, whatever) and wrap the bottles with pretty paper and a bit of ribbon or string. I used white tissue paper, some wallpaper scraps, and some cool graphic print party napkins that I picked up a Target. 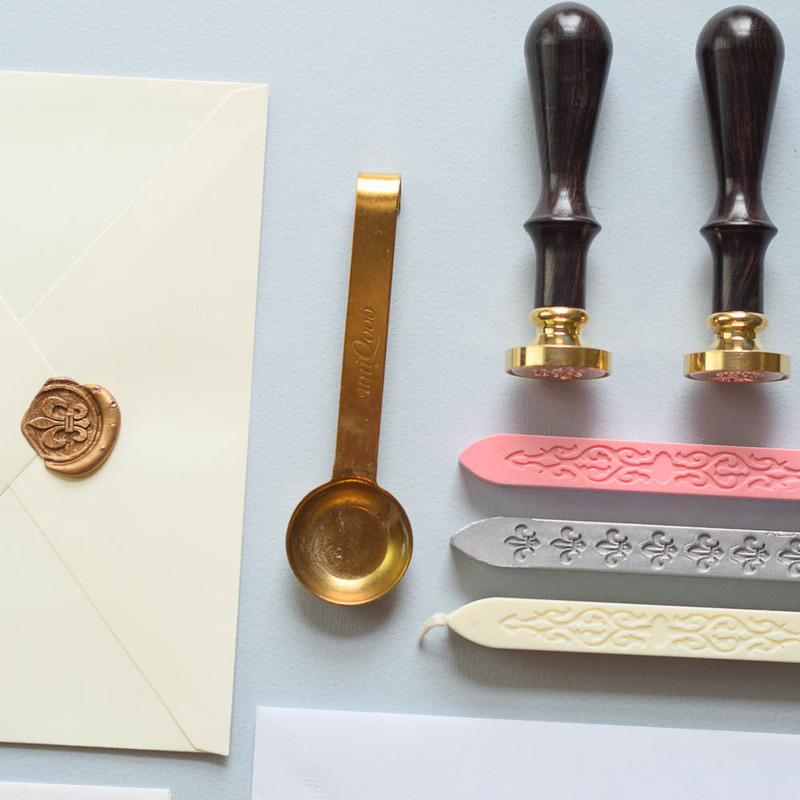 You could also use gift wrap or scrapbook paper or if you know a place that sells nice rice paper that would be equally delightful. The paper wrapped bottles are a good way to get exactly the look your want. Mine are fairly plain, but you could get really creative with your colour and pattern combinations. And wouldn't this be a cute and inexpensive way to give flowers as a gift? 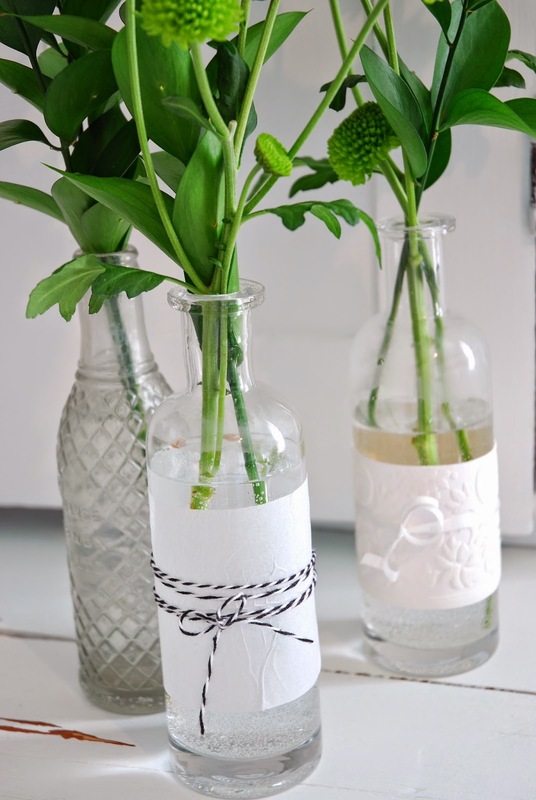 Get a small bottle from Value Village, wrap it up, add two or three stems and tie on a little gift tag with your sentiments. That's it for now. 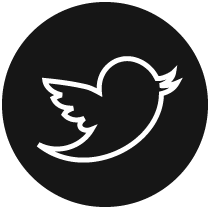 Thanks for reading and following along with the 11th. Please let me know what you think of the flower arrangements and I would also really like to hear about any go-to spring flowers (yellow tulips?) 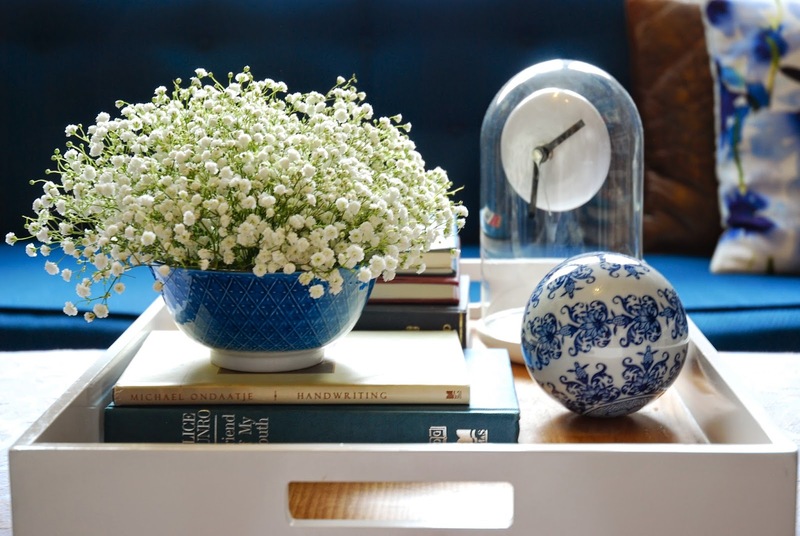 or floral arrangement ideas that you love to use in your home! they are another great way to pot herbs and other small plants. 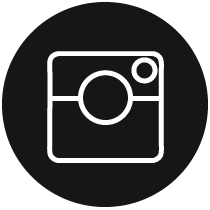 What are your tips for the actual flower arranging? Obviously a nice container makes all the difference, but I find I have the most trouble properly arranging my blooms to best advantage. 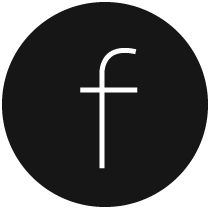 Do you have any suggestions/tools/etc? 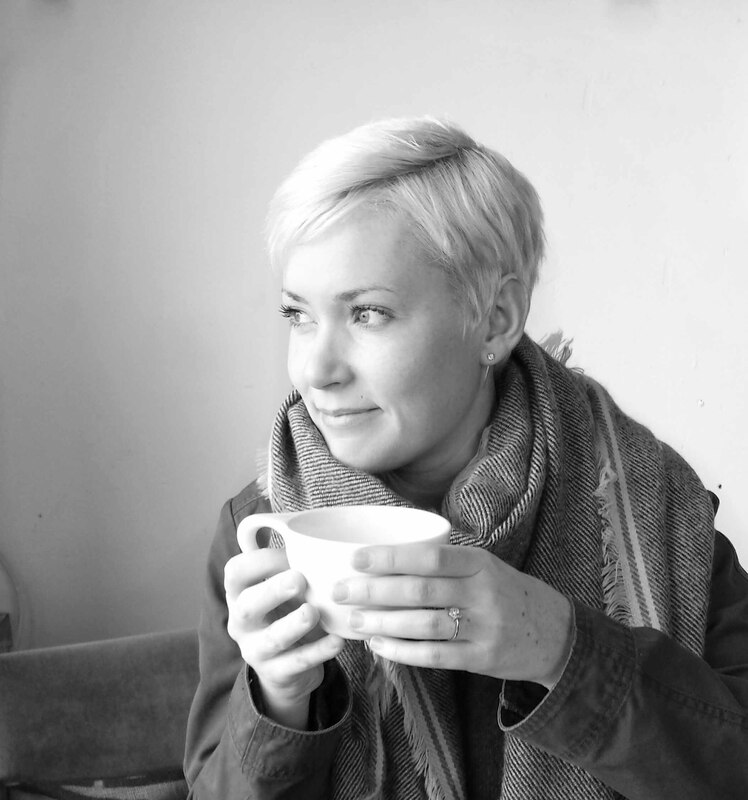 Because I'm a novice when it comes to working with flowers, I've come up with two general rules that I tend to stick by. I limit the variety and the colour of the flowers in my arrangements and this usually yields pretty good results. So for example, I'll limit my purchase to only one kind of flower (ie. daisys) and I'll add a couple greenery stems and that's it. Easy arrangement. If I want a greater variety of flowers, I will limit the colour palette. Chris is always teasing me because I only buy white and green flowers for the house, but working with a narrow range of colours makes it easier to come up with a great bouquet. For example, I'll use white freesia, white lilies and white snow berries and then I'll add in some greenery. No matter how I arrange the stems, they come together quite well. The stems come together quite well, no matter how I arrange them. 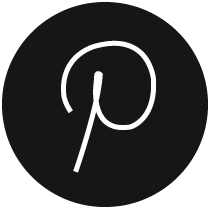 In regards to tools: purchase some small shears for easy effective stem cuts. 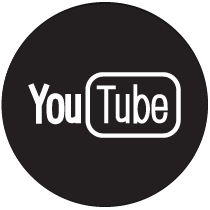 You may also want to purchase floral tape (Dollar stores or craft stores will carry it). 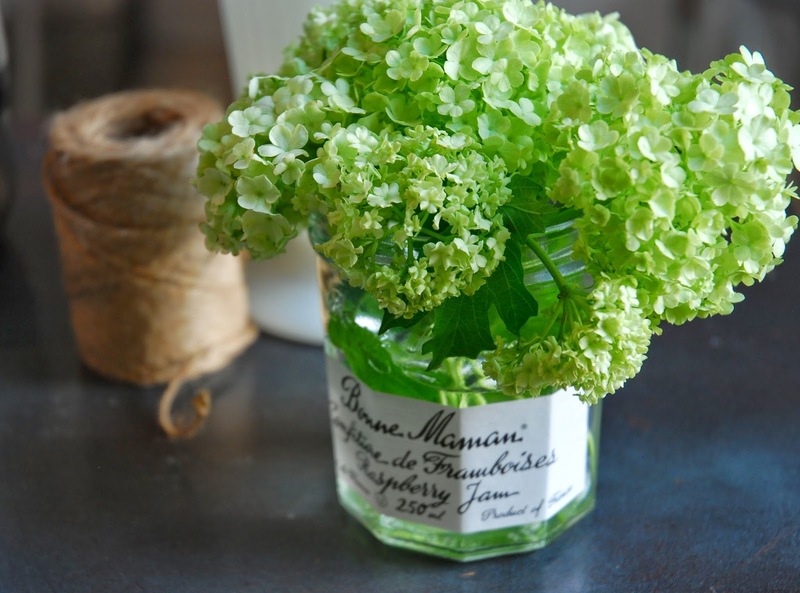 When twisted around pairs of stems, or even around an entire bouquet, the tacky green tape will keep blooms in place. Or if you want to get really bossy with your flowers, pick up a chunk of floral supply foam. 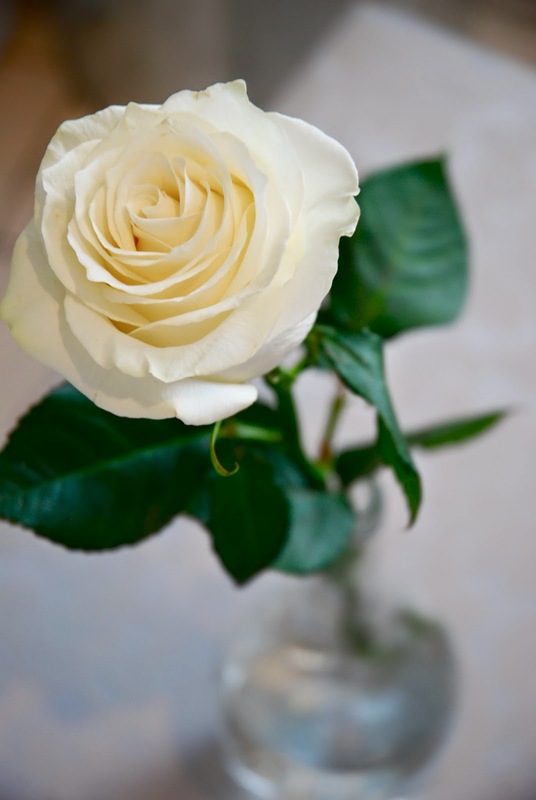 Soak the foam in water and then place it in a vase or container. 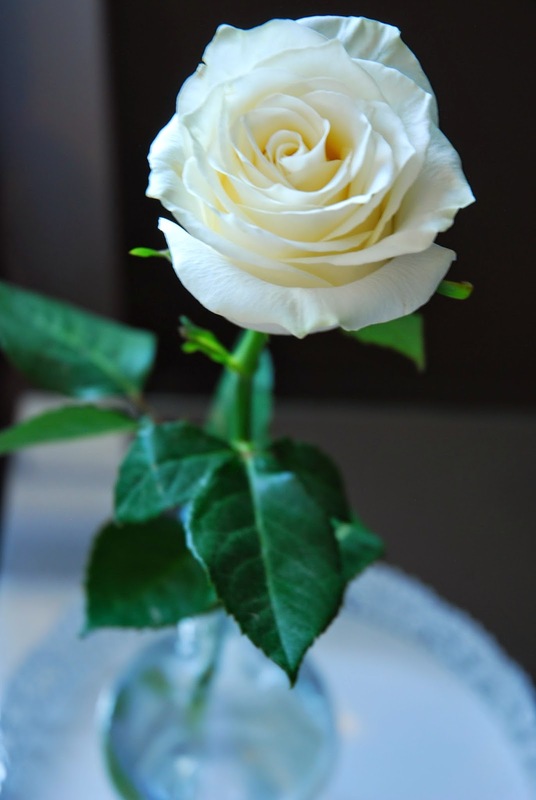 Use hardy flowers and make your arrangement by poking each stem into the foam exactly where you want it to stay. 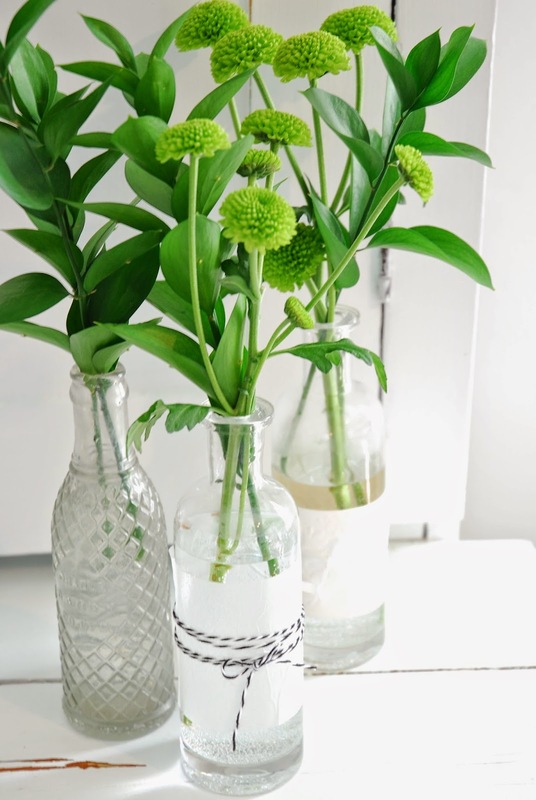 Add extra water to the vase and you'll have a bouquet that will not move!